fig1. Mars Express Credit: ESA/Alex Lutkus. 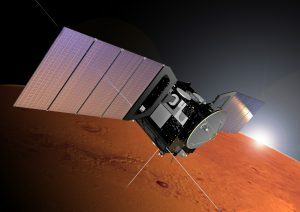 The MARSIS (Mars Advanced Radar for Subsurface and Ionosphere Sounding) orbital radar sounder, onboard ESA’s Mars Express spacecraft launched in 2003, was designed to investigate the Martian ionosphere and the geological and hydrological structure of the subsurface, with a particular emphasis on the detection of deep bodies of solid or liquid water. MARSIS is a low frequency, nadir-looking pulse limited radar sounder and altimeter with ground penetration capabilities, which uses synthetic aperture techniques and a secondary receiving antenna to isolate subsurface reflections. 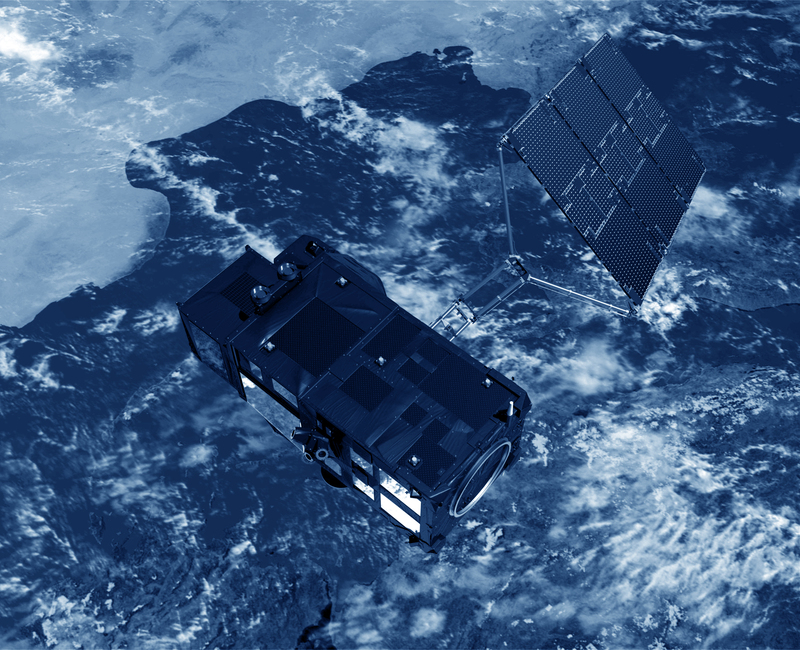 The particularly low frequencies used by the instrument give it a theoretical ability to detect the presence of liquid water, under ideal sounding conditions, at depths of up to ∼3–5 km beneath the Martian surface. It has achieved this level of sounding performance only in a number of specific environments, which include the ice-rich North and South Polar Caps, where it provided estimates of the thickness of ice deposits, as well as several other sites at lower latitudes. 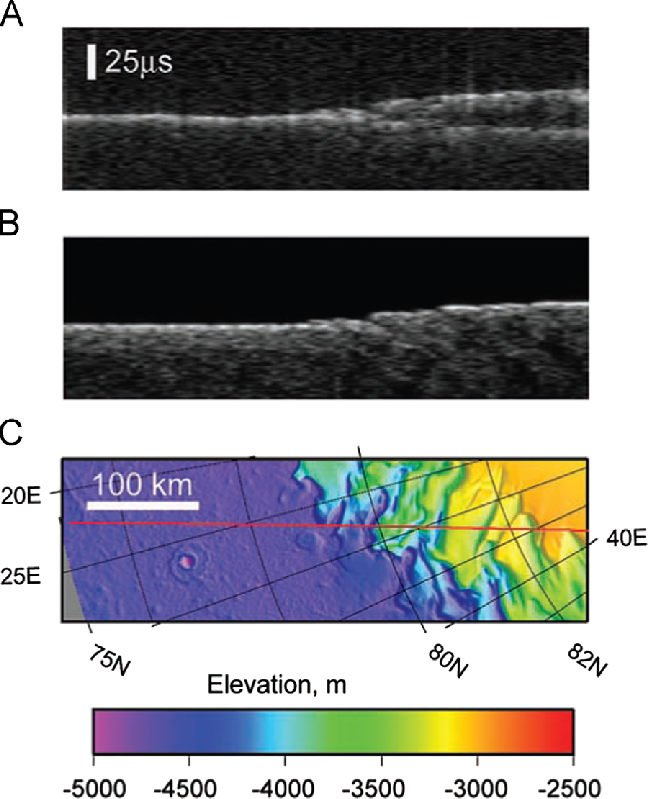 fig.3 (A) MARSIS data in radargram format for orbit 1855 as it crosses the margin of the north polar layered deposits. (B) Simulated MARSIS data if echoes are only from the surface (nadir and off-nadir clutter). (C) MOLA (Mars Orbiter Laser Altimeter) topography along the ground track (red line); elevation is relative to the mean planetary radius. MARSIS data at 5 MHz show a split of the strong return into two as the ground track reaches the NPLD (higher terrain to the right). Maximum time delay to the second reflector is 21 μs, equivalent to 1.8 km depth in water ice (from Picardi et al., 2005).